The natural environment is a central issue in both academic and wider societal discourse. The global sport industry is not immune from this discussion and has to confront its responsibility to reduce its impact on the natural environment. This book goes further than any other in surveying both the challenges and the opportunities presented to the sports industry as it engages with the sustainability agenda, exploring the various ways in which sport scholars can integrate sustainability into their research. With a multidisciplinary sweep, including management, sociology, law, events, and ethics, this is a ground-breaking book in the study of sport. the Olympics, urban development, and mega-event legacies. 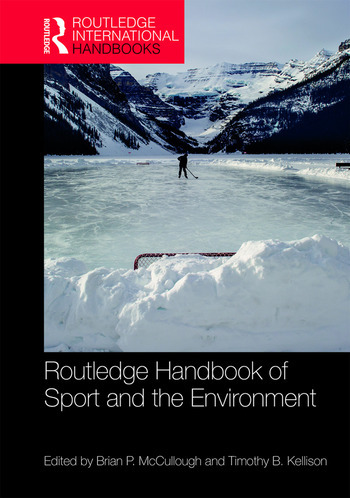 With contributions from world-leading researchers and practitioners from around the globe, this is the most comprehensive book ever published on sport and the environment. Brian P. McCullough is the Coordinator of the Sport Sustainability Leadership Certificate and an Assistant Professor in the Masters of Sport Administration and Leadership program at Seattle University, USA. Specifically, his research interests concentrate on the managerial decision-making processes involving environmental sustainability initiatives among upper management and using the context of sport to influence environmental behaviors of sport spectators’ game day and everyday life. He has published his research in the Journal of Sport Management, Sport & Communication, International Journal of Sport Management & Marketing, and Quest. Most recently, he published his first book, Introduction to Environmental Sport Management.